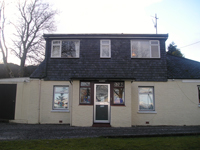 SKYE AND LOCHALSH DRUG AND ALCOHOL FORUM provides an important network for those dealing with substance misuse issues in the Skye & Lochalsh area. The Forum has representation from a variety of agencies, including health, police, education, social work, voluntary sector and community members. SLDAF have a long history of achievement and their activities include participation in the schools Safehighlander event, drug and alcohol education in local schools, development of a local services directory ("Moving On in Skye & Lochalsh") and young people's leaflet. Last year two major developments were the series of communities seminars run across the area and an employability project funded by New Opportunities Fund and supported by the Forum. This year the Forum is concentrating more community awareness-raising sessions in conjunction with Community Councils and continuing its involvement in Pubwatch, Servewise (pub server training) and drink driving awareness. The Forum has recently produced two information leaflets for young people on Caffeine and Home Detox which are available from the Forum. Alcohol awarness talks to pupils in Skye and Lochalsh Primary Schools. Arranging relevant training for staff and community members. Delivered talk on Alcohol & Older People to University of the Third Age. Supported mutual aid training opportunity to peer mentors.